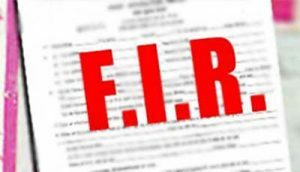 Srinagar: The Crime Branch (CB) of Jammu and Kashmir has registered FIR against the officials for illegal appointments in the Health department of valley, an official spokesman said here on Thursday evening. He said the CB received a complaint, alleging therein that Health Departments of Baramulla and Bandipora have fraudulently and dishonestly made several appointments in the Department, who were later posted in Bandipora Gurez. A preliminary verification was conducted, during the course of which it came to fore that appointment orders purportedly shown to have been issued by the Director Health Services, Chief Medical Officer (CMO) Baramulla, Block Medical Officer (BMO) Bandipora Gurez. The authorities concerned, however, have denied to have made such appointments. The inquiry further revealed that the officials of Health Department posted in Baramulla and Bandipora districts, by abusing their official positions, have appointed many individuals during the last 2-3 years, with the retrospective effect from 2004, 2005 and 2006. A case was registered against them, he added.